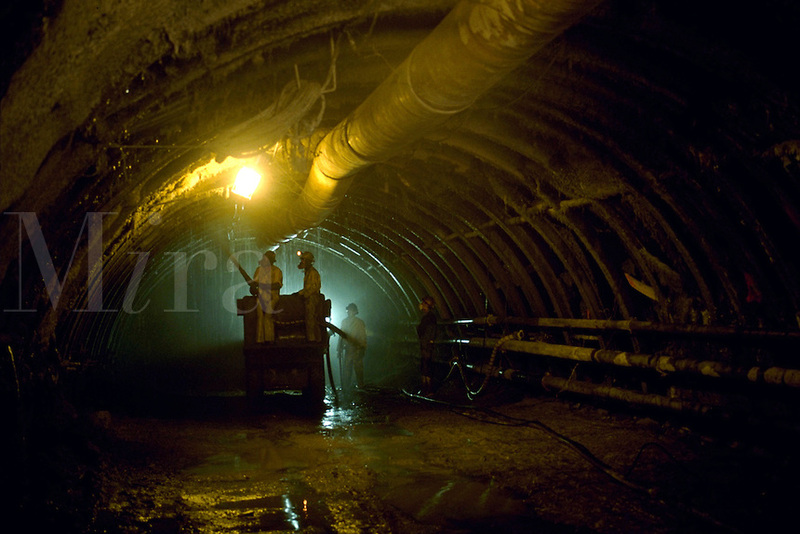 To help reinforce the walls of a tunnel, workers spray shotcrete. The tunnel was being built for passenger train use. Tunnel workers.